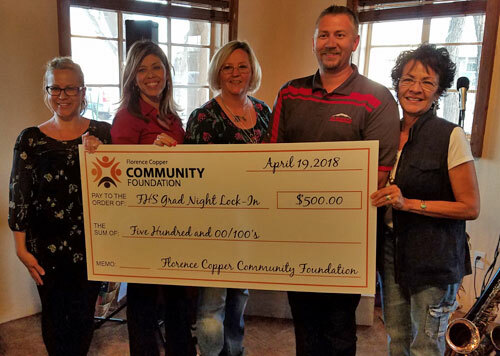 On February 26, 2019 the Florence Copper Community Foundation presented The Florence Fudge Company with a $1500 grant. 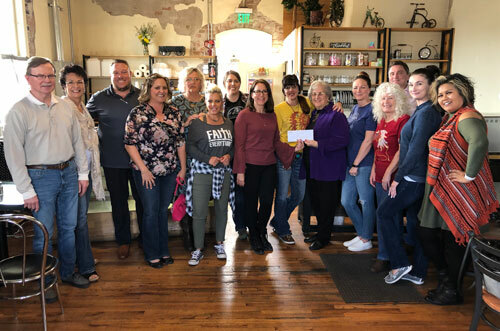 The Florence Fudge Company is nonprofit restaurant whose proceeds directly benefit the Love Works Family Resource Center in Florence, Ariz. Love Works has provided assistance, diapers, food, equipment, and classes to the the community of Florence for over ten years. The grant will be used by the Florence Fudge Company to upgrade their equipment. the Victor Food Bank with a $1500 grant. 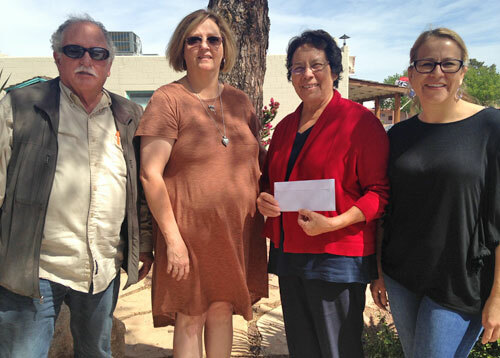 Christ the Victor Food Bank is a nonprofit serving families in need every month from their Florence, Ariz. location. They are also the only local facility where senior citizens can receive the federal commodity food box. 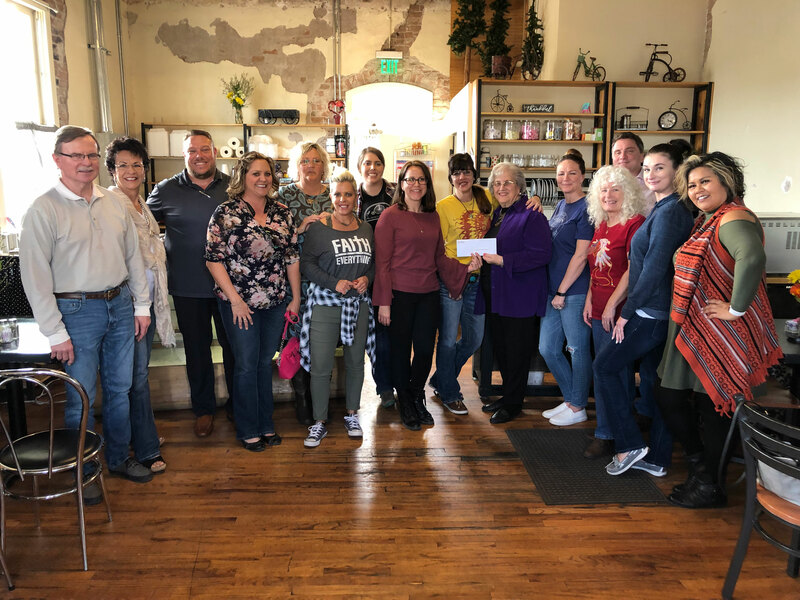 Over the past 10 years the volunteers at Christ the Victor have worked tirelessly to collect and provide a variety of food, including fresh produce, meat, and dairy products to Pinal County residents. 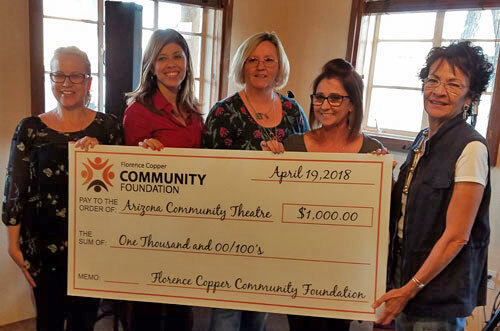 The Florence Copper Community Foundation awarded $500 to Pan de Vida, a San Tan Valley/Queen Creek based nonprofit that benefits the working poor. 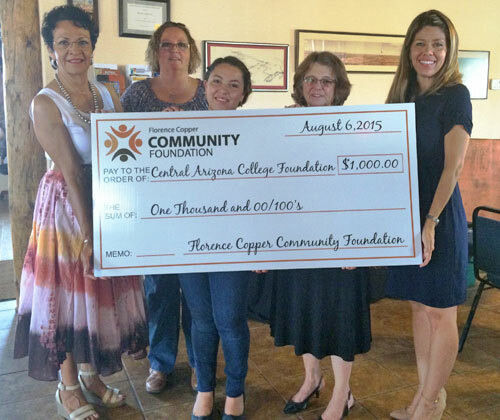 Florence Copper Community Foundation Supports Central Arizona College Foundation's "Promise for the Future"
CAC's Promise for the Future Was Awarded a $1,000 Grant from the Florence Copper Community Foundation. This page was created on Thu Apr 25, 2019 at 10:53:05 PM Pacific Time.